At The Pointe, you’ll be welcomed into a friendly, casual environment by people who are excited to see you. We want you to have an idea of what to expect when you arrive at The Pointe. All you have to do from here is come as you are and find out more for yourself! Each service to last one hour and twenty minutes. Teaching from one of our Teaching Pastors. Enjoy a complimentary coffee at our HeBrews foyer cafe. Children, infants and toddlers are checked in prior to our services. Age appropriate lessons and crafts for kids off all ages. Teenagers are dismissed after worship to their own service. A place to belong. LifeGroups are the people you can grow, laugh, and serve with. We have groups for men, women, couples, families, retired, working, and more! A chance to make a difference. God created you with gifts and skills that you can use to change lives in your community and the world. Serve at The Pointe or connect with one of our Share Team to get started. A way to grow. We want to equip you with the tools to develop as a fully devoted follower of Christ. As an individual, family, or part of a LifeGroup, you can use The Pointe resources to keep learning. A place just for kids. Each weekend Electric Avenue Kids, newborns through 5th graders, learn the truth about who God is and who they are because of Him through age-specific lessons, small groups, and trusted adult leadership. A smooth transition. 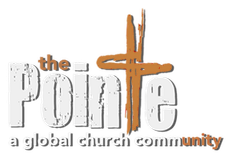 Break Pointe features worship, discussion, and relevant teaching. A night just for teens. Break Pointe meets on Wednesdays for students 6th through 12th grade. Loaded with fast-paced worship and interactive activities, it addresses real issues teens face each day.